Chinese smartphone company Xiaomi has slashed the prices of four of its smartphone models to celebrate its 5th year in India. Today, Xiaomi's Redmi Note 6 received a permanent price cut for both its 3GB RAM and 32GB storage & 4GB RAM and 64GB models. The 3GB RAM variant will now be priced at Rs 9,999, down from its launch price of Rs 11,499, and the 4GB RAM version will cost Rs 11,999 instead of Rs 13,499. Redmi Note 6 Pro featured a 5.84-inch display with a screen resolution of 1080 * 2280 pixels and aspect ratio of 19:9. It was the first Xiaomi phone to come with the wide notched display. On the camera front, the Redmi 6 Pro has two cameras on the back and one selfie camera on the front. The phone is powered by Qualcomm Snapdragon 624 SoC and comes in black, gold, blue, and red colours. 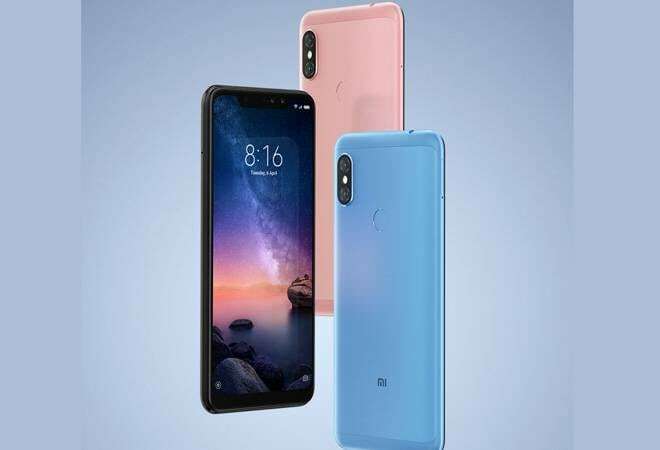 Earlier in the week, Xiaomi had announced a permanent price drop for the Redmi Y2, MiA2 and Redmi Note 5 Pro phones. This is the second time, in the last two months, that these phones received a price drop. After the price cut, Redmi Y2 is available for a starting price of Rs 8,999 for the 3GB RAM and 32GB storage model. The 4GB RAM and 64GB storage variant of the Redmi Y2 can now be bought for Rs 10,999. Redmi Y2 was launched at a starting price of Rs 9,999 for the base 3GB RAM and 32GB storage version. The top 4GB RAM and 64GB storage model was available for Rs 12,999. Earlier on Monday, Xaiomi reduced the price of Mi A2 in India and on Tuesday the price of the Redmi Note 5 Pro was cut. Xiaomi Redmi Note 5 Pro is now available for Rs 12,999 while the Mi A2 is now available for Rs 13,999. Mi A2 was launched in India for Rs 16,999 for the 4GB RAM model, while the 6GB RAM variant was priced at Rs 19,999. The top-end variant of the Mi A2 with 6GB RAM and 128GB storage is now available for Rs 15,999.